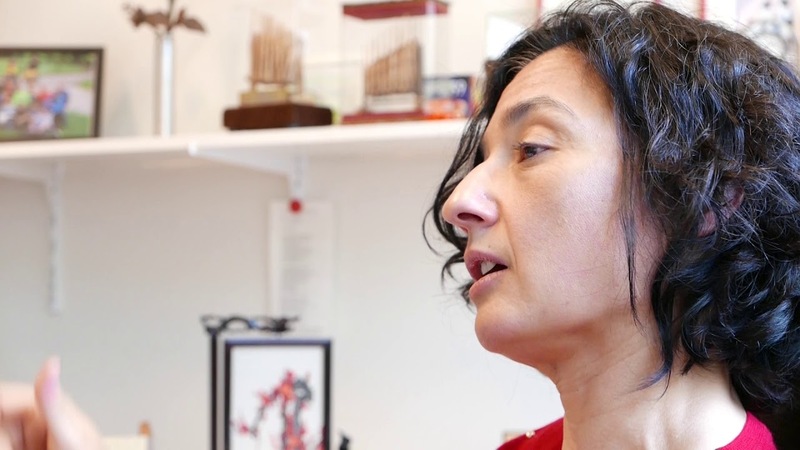 UG Professor of Photophysics and Optoelectronics Maria Antonietta Loi has received the Physics Prize 2018 on 13 April. The prize is for excellent physics research by a physicist working in the Netherlands. In winning the prize Loi joins the ranks of Nobel laureates Klaus von Klitzing, Gerard ’t Hooft , Martinus Veltman, astronomer Ewine van Dishoeck and famous physicists such as Robbert Dijkgraaf. Loi joined the UG in 2006 and was appointed Professor of Photophysics and Optoelectronics in 2011. This field of research relates to converting light to electricity or vice versa, as with LEDs and solar panels. Loi works at the Zernike Institute for Advanced Materials (ZIAM) at the Faculty of Science and Engineering. Loi also conducts research in other areas. This includes work on a special type of semiconductor, quantum dots. These are small crystals whose properties relate to their size. She has also developed a technique that uses a polymer to extract different types of carbon nanotube from a solution. She can place the right nanotubes from the solution straight onto golden contacts, thus creating minuscule transistors. She conducted this research with partners including IBM Germany. Maria Loi gave the traditional Physica lecture on 13 April in Utrecht during Fysica 2018, the annual conference of the NNV. Last modified: 13 April 2018 09.38 a.m.